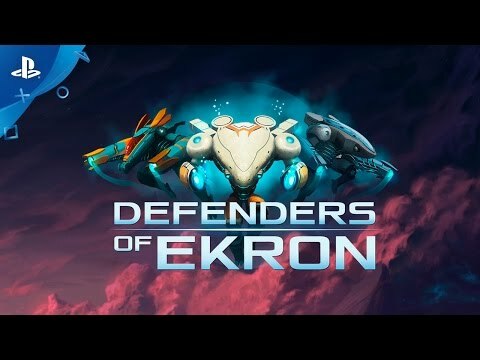 Defenders of Ekron mixes the classic action of a shmup and the exploration of an adventure game, including dungeons and a sci-fi experience. 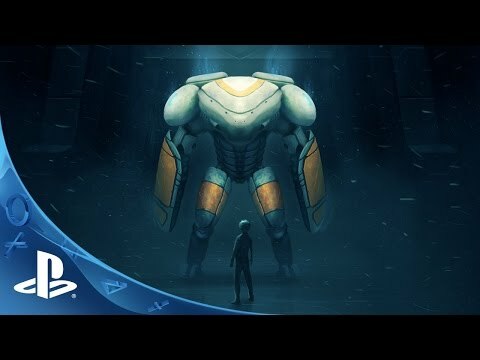 With such features as 360° shooting range, unique scenarios to discover, exploration modes to analyze the environment, a powerful shield, and different upgradable Combat modes, Eneas must defeat The Renegades and stop the explosive civil war threatening Ekron. The revolution starts within. You take the role of Eneas, a young and bold cadet who has trained his entire life to pilot his Anakim, an advanced mech capable of absorbing and transforming the energy around it into a special ability. When something goes wrong, Eneas is forced to join an experimental program to face the Renegades, a group of rogue Anakim pilots that threatens to destroy the nation by leading it into a civil war. You must defend the Technocratic Republic of Ekron, but be careful, for dark secrets await and the limits between right and wrong will slowly fade. Listen to your instinct, because revolution starts within. Defenders of Ekron is a game that brings back the challenge of old-school videogames with a modern twist, combining bullet hell with dungeons and puzzles. The main features are 360° shooting range, different and combinable combat modes to adjust to several game styles, unique and vast scenarios to explore with an analysis and navigation modes, upgradable skills and more than 50 training missions! Learn new abilities, such as dashing, sword fighting, pyromancy, and electromagnetism, and defeat The Renegades to stop the civil war.